There will not be open practice on the dirt oval this week. HAD A GREAT DAY OF RACING. GOOD TURN OUT IN 13.5 FOAMS AND 17.5 TRUCK. ALWAYS AGREAT TRACK. GUYS DON'T KNOW WHAT THEY'RE MISSING. Northbay guy's coming down! Hite's coming down.. I'll be there,should be great day of racing!! Johnny u bringing your 17.5 truck? I'm pretty sure Mudfish put another truck together. Yes asphalt racing I'm ready for some good clean racing. You could dvr the 500 but we will have it on the big 60" tv. Look'n forward to seeing everyone. SUNDAY,SUNDAY!! GUYS READY FOR SOME ASPHALT RACING? BRING OUT THOSE OVAL CARS. SHOULD BE A GREAT DAY. REMEMBER DVR THE DAYTONA 500. Just reposting here. with one addition to the rules. The addition is high voltage lipos are not not legal yet. Ok the rules are the same as last year and can be found on rcracing in the results section. There will be open practice on the dirt oval Thursday night 4 - 9pm. Track will be prepped. WHEN DO YOU GUYS RUN THE INDOOR ASPHALT OVAL ? p1 will be running oval on Saturday if your looking for racing! I never changed my 305 sprints setup between the tracks so you should be good! 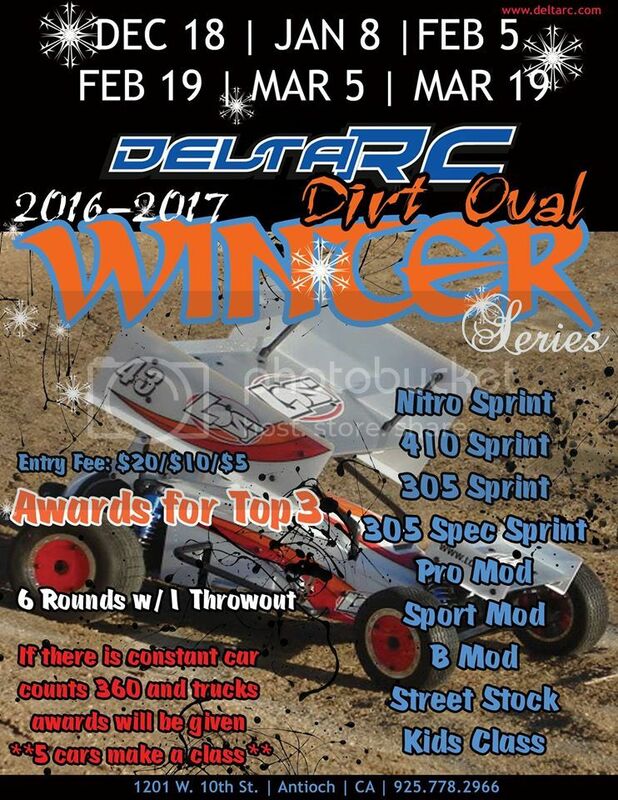 The dirt oval will be open for practice this week until Sunday. but with no prep. Should be a good time to break in tires. Considering the computer issues today went pretty smooth. I had a blast! Thanks to Noak and Chris I had a car that could stay out front. Thanks to Dillon and koz for racing clean all day with me it's fun to battle like that. Can't wait for the next one! Thanks Joe for practice thursday nights..